Marys Lake aerial photo via the Northern Colorado Water Conservancy District, October 2016. The U.S. Bureau of Reclamation has announced that it will begin shutting down this week the Colorado-Big Thompson Project east slope system for winter maintenance and system inspection. 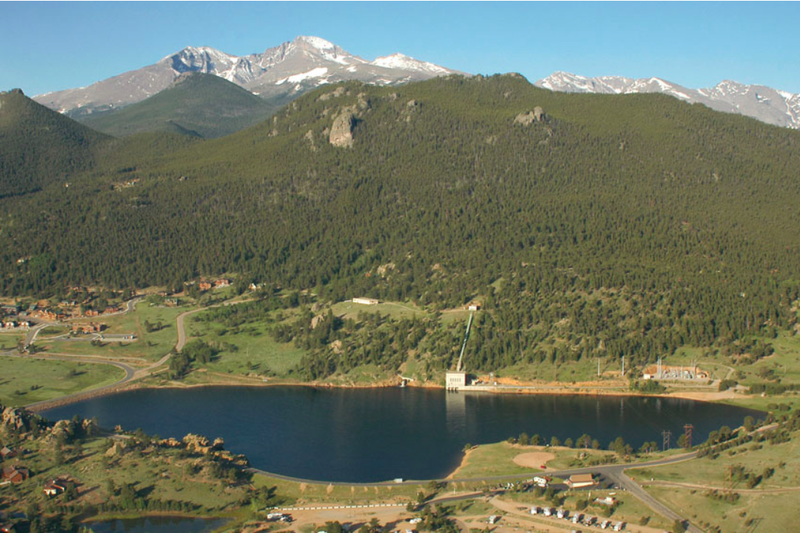 Peter Soeth, a Bureau spokesperson, said in an e-mail that beginning Oct.27 diversions will first be stopped through the Adams Tunnel followed by the draining of Marys Lake and Lake Estes by the morning of October 31. Flatiron Reservoir will be drained by November 4. Maintenance activities include annual maintenance for Marys and Pole Hill powerplants, as well as the Charles Hansen Feeder Canal. The inspection and maintenance is expected to last through the middle of December. Once complete, the system will begin diversions through the Adams Tunnel and preparing for the 2017 water year.